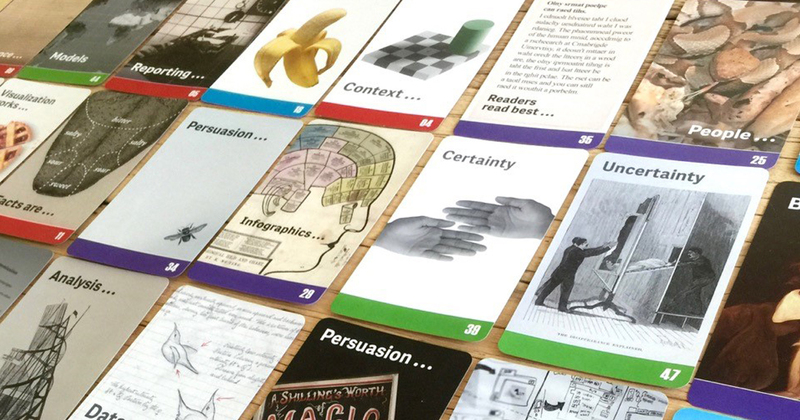 A fun tool to help stimulate creative approaches to BI. Let’s face it even if you’re using the best technology on the market when it comes to BIand analytics it’s easy to fall into the “that’s how we’ve always done it” frame of mind. It's the reason so many organizations still produce the same KPI reports for years, or get stuck with partial adoption of BI and a persistent Excel culture. It's why you see managers prioritizing gut feel over data when making decisions, or have some teams that simply get data and others that simply refuse to. Some even fail to recognize that their staff’s data literacy needs work to get the most value from their information assets. So how do you shake things up? Where can you find the stimuli when you need it most? 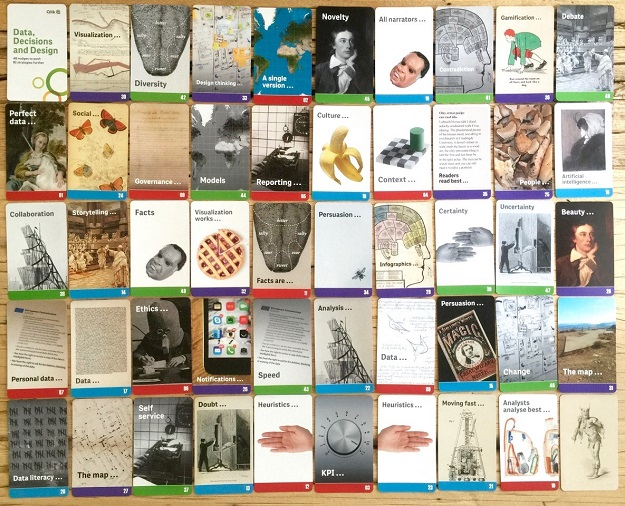 A couple of months back James Richardson and I started looking at how we could distill some of our ideas for challenging traditional BI thinking into a useful and fun resource. 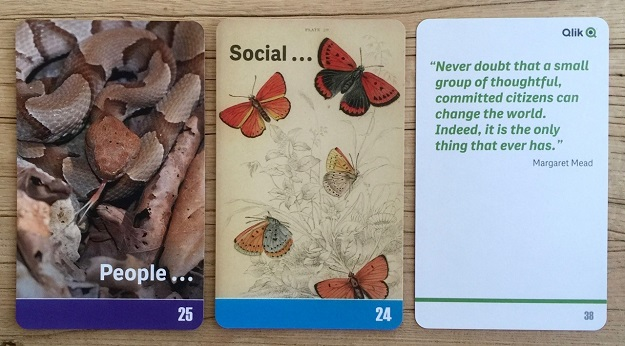 The result is a deck of strategy cards that we previewed at Qonnections – if you asked a question after our presentations you might have been lucky enough to be given a deck. How can we move beyond reporting to being more analytic in our use of BI? These aren’t a formal set of methods or techniques but rather they offer hints on how to push the analytics culture of your organization a little further. This way, rather than trying to force yet another new ‘process' or set of methodologies, you can take the ideas and work with them in a way that suits your situation and pace. 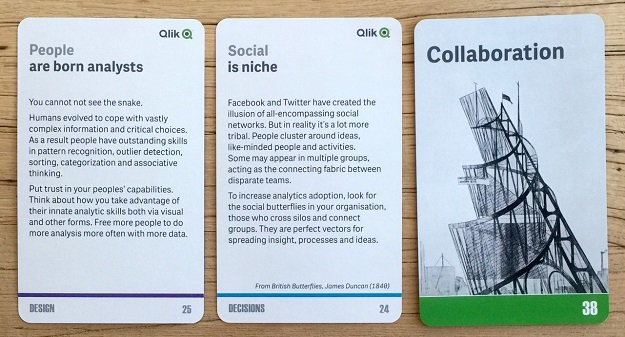 For a chance to be one of 5 lucky people (excluding Qlik employees) to win their very own copy of this deck, share this post on Twitter. Note: this contest is now closed and winners have been selected. If you are interested in finding out more or want to share a surprising, frustrating or difficult single challenge you’ve encountered when it comes to getting the most out of BI, please email the Qlik Innovation and Design Team via iadteam@qlik.com.